This research brief is based on the results of a national survey conducted in partnership with AASA. 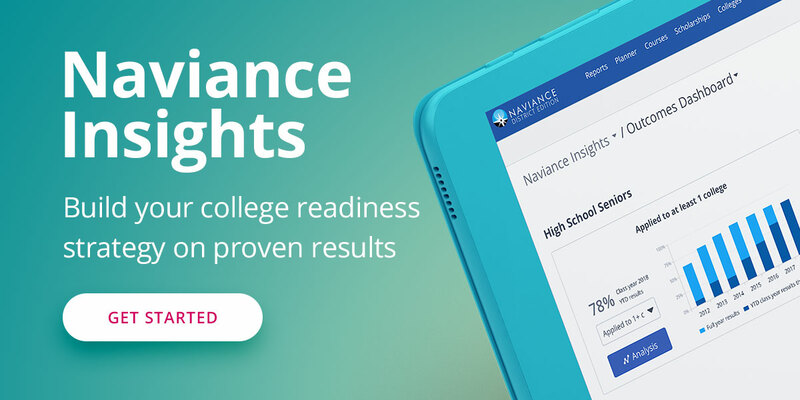 The survey reveals what school districts across the country are doing to help students identify, research, and reach their goals after high school. 1. Culture Counts: 86% of district leaders report that creating a college-going culture is a top priority. 2. Financial Fears: The vast majority of district leaders report that "concerns about paying for college" is the top barrier for their students to apply for college. 3. Addressing Affordability: 72% of districts measure students' scholarships applications. 4. Matching Strengths: 33% of district leaders report that the top barrier to students identifying a meaningful career is difficulty matching potential careers to their interests and strengths. Download below to access the white paper. To download the corresponding webinar, click here.